Tips from Your Canine Resource: LEASH-WALKING: WHO'S WALKING WHO? 3. They cease walking altogether. Leash Walking ‘Manners: Your pup has been trained where you want her when you snap the leash on. Period. You have communicated consistently, what ‘walk nice’ or ‘heel’ means, and she has strong association with where you want her to be while you’re walking. You have taken the time to train her. Thus she is not putting tension on the leash and it is a happy leash. The difference is clear, a more enjoyable walk for you both! You are managing behavior if your dog does not have a clear understanding of the behavior YOU are looking for. When your dog has a clear understanding, in all environments, then training is occurring. · Choose a walking tool that is kind. A harness is a widely accepted tool. A ‘choke chain’, ‘prong collar’ or any other such options for hooking the leash is unacceptable. You will be apt to stay in management with these tools, as they are typically used for dogs that are coined ‘difficult to control’. These types of tools that cause discomfort can be thrown way away when you have applied successful training protocol. This will also be discussed at length in reactivity segment. · Your dog is calm when putting on harness and leash, with conditioning for her to walk into her own harness. No more chasing around the room, that game’s over! At least as far as the leash and harness are concerned. · Orientation command in place going out the front door, so your dogs eyes are on you instead of fixated on what is happening in the ‘hood, outside the door. o High value reinforcement: consider using something you only use when walking. High value may be bits of chicken, freeze dried animal parts, (beginning every 2 steps, and move up gradually from there). o High rate of reinforcement: recognize your dog has been walking a certain way for period of time, and hasn’t gotten the memo that you are changing it up. It is fair, then, to give her as much information as you can while walking, and reinforce accordingly. It is important that your dog make the association of the new behavior often and with most yummy currency. · The first few minutes of walk is dedicated to sniffing. Sniffing is notoriously calming signal for our dogs, so you are ahead in offering your dog the opportunity to engage if that is a way that helps de-stress. Humans are often quite task oriented, we have certain amount of time, certain route, answer texts/emails to respond….watch your dog. · Leash walking manners in the house and back yard only until ‘walk nice’ has relevance, that it is trained, and loose leash has been accomplished. Begin walking in front of house only AFTER success is guaranteed in the house and yard. · If your dog goes back to her pulling ways, stop and wait for her to move back toward you. At which point, and this is very important part of the whole procedure, the reinforcement is not provided until Pepper is back in position and walking nicely again. If it is provided earlier, Pepper may learn that pulling and coming back to you is what you are looking for. Be very clear that the only time she gets a treat from you is when she is in area by your side, with a happy leash, or a leash with no tension! · Begin working in lowest distractive environments, until you become more relevant partners with the leash. · Recognize that if the walking surface is so hot that you cannot hold your hand on it for 5 seconds, then do not consider expecting your dogs paws being able to handle it either. Not only will it be painful, it may also be why your dog is in a hurry, thus pulling on the leash. 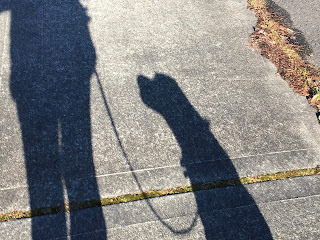 · Note; Like many dogs, Pepper has exhibited leash reactivity toward several triggers in her environment, so they are staying very close to home where they can turn and get back home quickly in the event a mean ole’ trigger shows up. 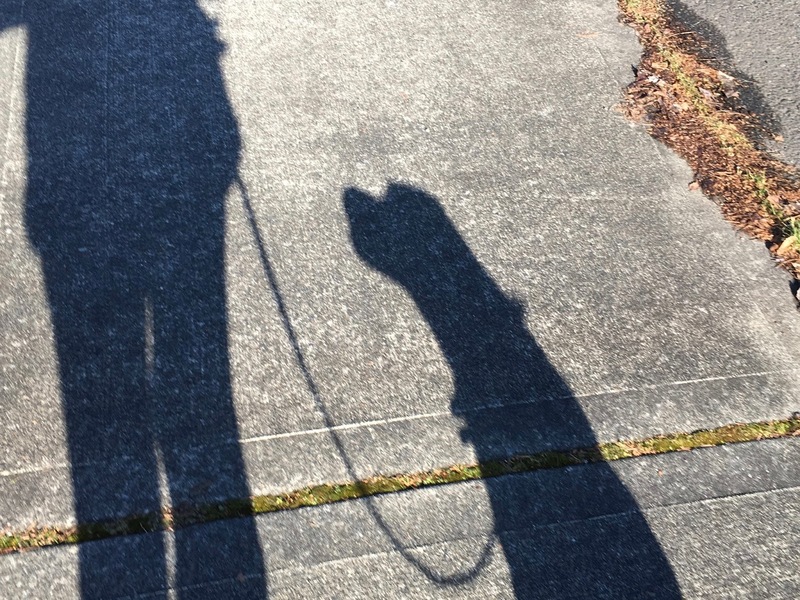 In this segment, I am addressing leash-walking, not reactivity-on-leash. Although reactivity issues are addressed with reliable leash walking manners in place, much more protocol is put in place to modify this highly emotional response to your dog’s environment. Well-trained leash walking manners is a must to modify reactivity, while on leash, but alone is not the fix. It will be fun to talk in the next blog about one of THE most popular calls that come into my call center with is reactivity while our dogs are on leash.